Yasuhisa Shioda Shihan is the SIAF's chief instructor. He has trained in Aikido for nearly 50 years, having begun daily Aikido practice at age 13 under the teaching of his father, Gozo Shioda Kancho at the Yoshinkan Aikido Honbu Dojo. As he matured, he began to help his father promote the Yoshinkan style by teaching it in universities and to police departments and various other organizations. 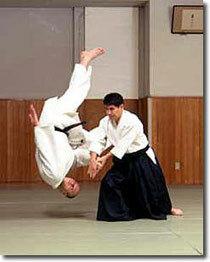 Eventually, he began to travel around the world, widely spreading the principles and techniques of Aikido. Among his ventures was a three-year residency in London, England where he came to realize that Aikido extends beyond the technical to consideration for others and to the spirit of candor and openness. When Gozo Shioda passed away in 1994, Yasuhisa Shihan took up the challenge of keeping his father's legacy alive through teaching and writing about Aikido. For nearly four decades, he has traveled throughout several continents and has helped aikidoka refine and improve their practice of the art. Additionally, he has co-authored with his father the instructional manual titled "Aikido--The Complete Basic Techniques," and has authored an informative "Afterword" to Gozo Shioda's book, "Aikido--My Spiritual Journey." With his recently launched SIAF, Yasuhisa Shioda Shihan brings structure to his father's mission of promoting Aikido worldwide and offers to aikidoka everywhere the opportunity to realize the spirit of Budo. In accomplishing this mission Yasuhisa Shioda Shihan is delighted to be working with aikido instructors around the world. SIAF Instructor, Masahiro Shioda is the 3rd son of Yasuhisa Shioda and a grandson of Gozo Shioda. He had trained in Yoshinkan Honbu Dojo as an International Senshusei and then taught there for 2years. Masahiro Shioda Sensei now works to bring Aikido to people all over the world and is following his father,Yasuhisa Shioda in developing the SIAF. Copyright (C) 2014 SIAF All Rights Reserved.